Recreation abounds in the Bulverde/Spring Branch area, affording residents and visitors opportunities for adventure and fun. 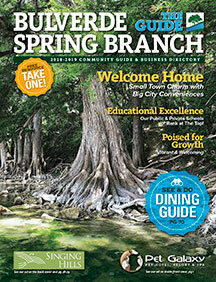 There are state parks nearby and the Guadalupe River runs right through Spring Branch. Hunting is a favorite sport in the Texas Hill Country. Golf is abundant in the area. Fishing and skiing are popular on Canyon Lake. Also, the number one tourist destination in Texas, San Antonio, is only 20 minutes away. This area is located inside of Guadalupe River State Park at 3350 Park Rd. 31, off State Hwy. 46. HCSNA is 2294 acres located in Western Comal County. Entry into Honey Creek is for guided tours only. The diverse geol­ogy, flora, and fauna make Honey Creek a special place for all visitors using 2 miles of nature/interpretive trails. The Saturday morning walking tour begins at 9am. Call 830-438-2656 in advance. A non-profit, non-partisan group of Comal County citizens dedicated to improving the lives of all Bulverde and Spring Branch area residents through local public parks. The family-oriented park features practice sports fields; covered pavilions; a splash pad; a basketball court; and a multi-use, central play area. Visit the Bulverde Community Park at 29815 Bulverde Lane in Bulverde, TX. The Upper Guadalupe River, from the Guadalupe River State Park to Canyon Lake is a favorite for canoeing, tubing and fishing. There are a number of canoeing and tubing businesses in this stretch of the Guadalupe River. Many of the roads in the Bulverde/Spring Branch area are favorites for cycling and running enthusiasts. The hilly terrain with great views of the wildflowers in the spring and the numerous live oaks and other trees makes for a very enjoyable ride. 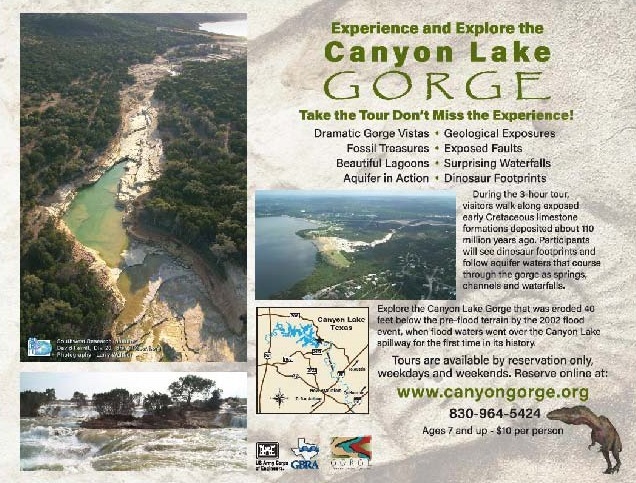 For more information on the Canyon Lake Gorge, visit their website at www.canyongorge.org.